....PREPARE TO BE OUT FOR THE COUNT!!! 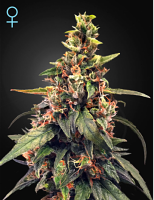 K.O.Crop Auto Feminized Cannabis Seeds by Cream of The Crop Seeds: A one punch knockout that will leave you dazed and seeing stars, this heavyweight C.O.T.C strain is notoriously easy to grow and has a very STRONG odour and effect. 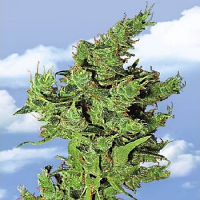 Large, tight buds give off an unmistakable punchy aroma and the plants are covered in THC crystals. An undisputed champion in the world of cannabis... ....PREPARE TO BE OUT FOR THE COUNT!! !